Mailing your invitations is no sweat when you verify postal requirements early to eliminate last-minute surprises at the post office. 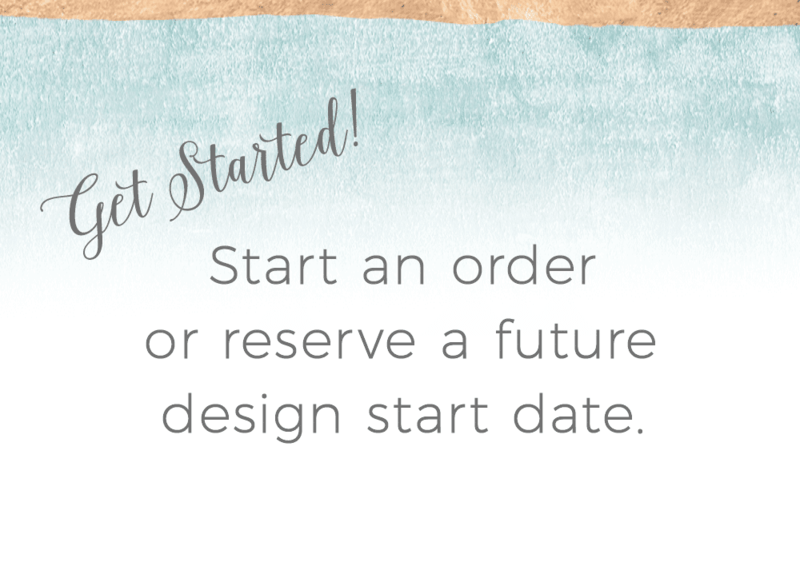 It’s popular to send save-the-date and RSVP postcards because they save paper and postage. Must be a flat card without an envelope. Entire package must weigh 1 ounce or less. 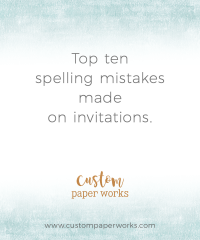 (Weigh the invitation set right before mailing if it’s close, especially in humid areas, as humidity can tip the scales on something already very very close to 1 oz.). 2-oz rate: Same size requirements as 1-oz rate, but can weigh up to 2 oz. 3-oz rate: Same size requirements as 1-oz rate, but can weigh up to 3 oz. 3.5-oz rate: Same size requirements as 1-oz rate, but can weigh up to 3.5 oz. (they will measure if it looks close! ), you move into package rates. Be sure to get a quote at the post office. Sizes from 6.125″x12″ to 11.5″x15″ need additional postage even if they weigh only 1 oz. Additional postage is required for any square envelope. 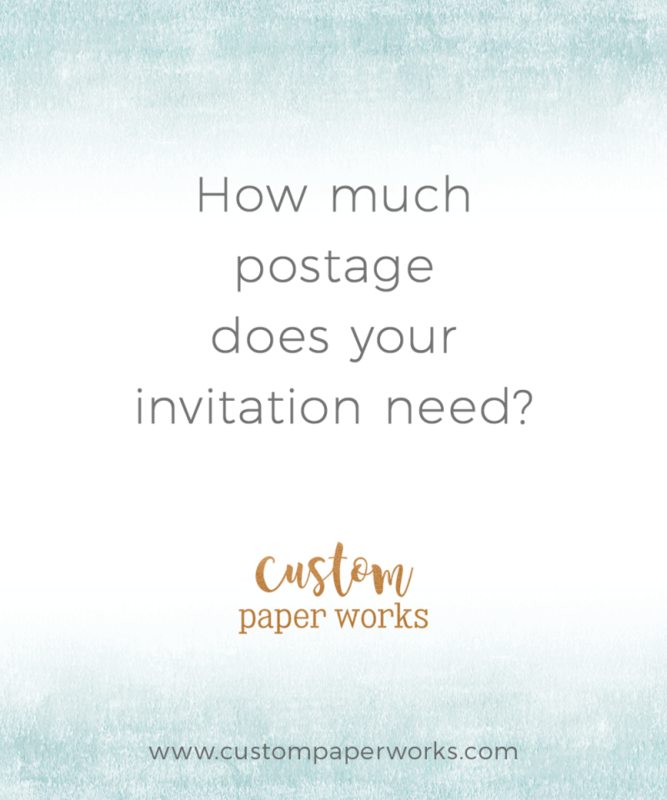 Take your invitations to the post office to be weighed BEFORE buying and applying your stamps – and especially before purchasing custom postage. The most interesting thing you can do with postage is to order custom stamps. Any image or piece of artwork can be turned into a stamp that coordinates with your invitation perfectly. 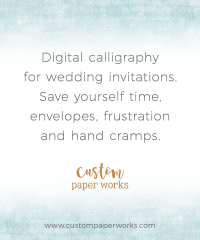 Custom stamp DESIGN is included with anything ordered from Custom Paper Works, just ask! That doesn’t include the actual cost of the postage, so check zazzle.com for pricing. I recommend the small size stamp unless you are using a very large envelope or box.